The role of contract manufacturers and developers has changed significantly over the last 21 years. Contract services have now become a strategic part of most companies’ supply chains. The outsourcing of drug development and manufacturing is now far more integrated into our customers’ thinking right from the start and at a product concept level, rather than being viewed as a ‘back-up’ plan in the event of resource or time constraints. This is a huge change from the previous trend to do everything in-house. One of the main drivers for this has been the financial pressures placed on the pharma industry and the need to drive down costs and reduce internal capital investment where possible. As outsourced services are in greater demand than ever before, so is the need for a wide range of capabilities. CDMOs are now much more integral to a company’s operations and many customers want their contract partners to take complete control of the supply chain, from early phase development to commercial manufacture. There has been increasing reliance on full service providers and Recipharm has evolved and grown with a strong merger and acquisition strategy to add additional capabilities to our offering. An expanded geographic reach and local presence is also important, as customers are starting to look for a more global solution from their partners. For example, CDMOs that can support market access restrictions, such as those in Russia, Turkey and some other countries, are well positioned for growth. The single biggest challenge affecting our industry is the planned introduction of the European Falsified Medicines Directive (EU-FMD) in February 2019 – however, this also presents an opportunity. There is growing concern about how many companies, particularly CMOs, will be ready to implement the new serialisation requirements come the deadline, placing the continuity of supply of vital medicines at risk. As such, we expect many companies to change their outsourcing strategies in order to ensure compliance, and this means that those CMOs that are taking a proactive approach to the serialisation challenge are perfectly positioned to capitalise on this. Serialisation also presents the opportunity to review existing systems and processes, and achieve greater efficiencies – not only during manufacturing, but in the wider supply chain too. Finally, we see lots of opportunity coming from emerging markets. The pharma industry is growing at a much faster pace in these markets and this fact motivated our recent acquisitions in India. With more than 250 customers globally and 85% of production expected to require serialisation, preparing for the new regulations has been an important focus for us. In 2016 Recipharm formed a dedicated taskforce to drive our serialisation efforts forward and invested €40m in our company-wide programme, which would see the introduction of state-of-the-art technologies. In October 2017 our Lisbon facility became the latest (and sixth) to be ready for US and European requirements, adding an additional four packaging lines to our capabilities. Our current focus is to on-board our customers and ensure they are ready for compliance. Quite simply, the key requirements are to offer good value for money and deliver what you say you will, at the right quality and timescale. That said, innovation is also important. Our customers expect us to manage the complexity of drug development and manufacturing and, in order to do this, you can never stand still. You need to improve and innovate all the time, whether this means improving lead times or reducing costs. As mentioned above, our customers are increasingly looking for a wider service offering from a single CDMO partner, as this helps to simplify their supply chain and in turn reduce time and cost in many cases. The CDMO-sponsor relationship is less transactional and more strategic than ever, and contract partners are expected to overcome challenges and be strategic advisers throughout drug development. Confidence in the contract services sector is much higher than in previous years and customers are therefore willing to outsource more of their activities. If a true partnership is to be formed, there must be trust and good communication on both sides. The customer must trust the CDMO to use its expertise to reduce the complexity of its drug development and manufacturing project and, in return, the CDMO must be honest about its capabilities and potential limitations. The greatest efficiencies can be achieved when using the same CDMO throughout the entire product lifecycle. Selecting different partners for different stages of product development based on their niche areas of expertise can be counterproductive. 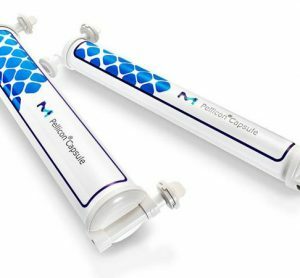 A CDMO with the capabilities to take a product from early phase development to commercial manufacture will always be one step ahead due to its ability to consider future requirements and potential challenges and incorporate these into product design from the outset. What would you say has been your company’s outstanding achievement (or achievements) of recent years, and what impact has this had on your customers and potentially the industry more generally? 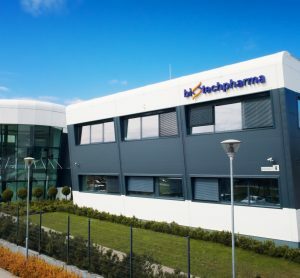 Recipharm set out to become a best-in-class provider of contract development and manufacturing solutions to the pharmaceutical industry and although there is always room for growth and progress, we believe we have achieved this goal and built up a strong reputation in the sector. Through our strategic merger and acquisition (M&A) activity, we continue to expand our capabilities so that we can proffer a full-service offering. This, combined with our breadth of pharmaceutical expertise, allows us to manage complexity and simplify the supply chain for our customers. More specifically, perhaps the most significant development for Recipharm in 2017 was the completion of our strategic acquisition of Kemwell’s pharmaceutical business in Bengaluru, India. The acquisition expanded our position in emerging markets significantly, taking sales in these markets to more than SEK 800m. 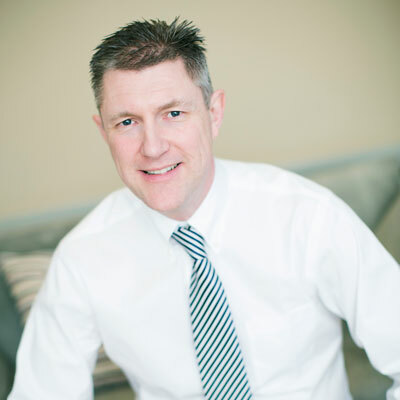 As well as growing our team from around 3,500 to more than 5,000 employees, the addition of Kemwell has hugely increased our development operation, both in terms of scale and breadth of capabilities. Our Bengaluru facility is now our centre of excellence for stability studies, and adds US FDA- and EU-approved efficient manufacturing options to our business. Founded in 1995, Recipharm is a leading contract development and manufacturing organisation (CDMO) in the pharmaceutical industry, with around 5,000 employees. 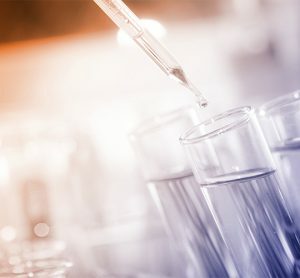 Recipharm offers manufacturing services for pharmaceuticals in various dosage forms, production of clinical trial material and APIs, and pharmaceutical product development. It manufactures several hundred different products for customers, ranging from big pharma to smaller research and development companies. Recipharm’s turnover is approximately SEK 5.3bn and the company operates development and manufacturing facilities in France, Germany, India, Israel, Italy, Portugal, Spain, Sweden, the UK and the US, and is headquartered in Stockholm, Sweden.